Since the beginning of the year, we have been working hard to build our stamina during Read to Self. Our goal was to be able to read independently for at least 25 minutes. We knew that if we could do that for three days in a row, that we had built that stamina. This week, WE DID IT! 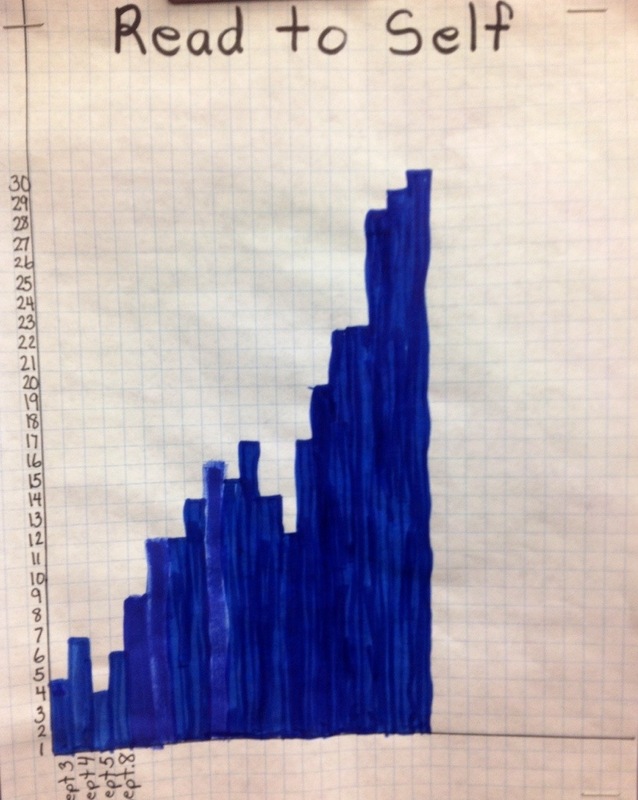 This graph shows how many minutes we were able to do each day. 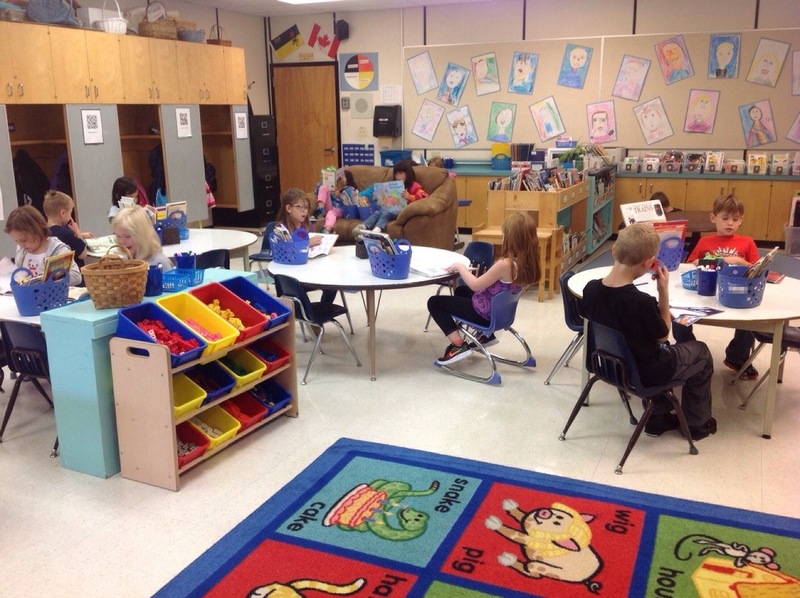 And this is what it looks like in our classroom when we are reading. The students get to choose where they sit. I am beyond proud of how hard they have all worked to get here. We are so impressed by how much you are reading. We do Daily 5 in our classroom in Chicago too. We are proud of how much stamina you have built. We really like the idea of keeping track of how many minutes you read with a chart. We bet you are really good readers! Thank you for your comment. We are glad that you are doing Daily 5 too. We hope you can build lots of stamina, too.